A quick little update today to show you guys some goodies I grabbed from the fabric store a few days ago. While its getting harder and harder to locate a place that even SELLS fabric anymore, I'm glad know that there is still one big place downtown that carries sewing goods. Mind you that the place I frequent for fabric hunting looks nothing like the neat orderly display of a bakery shop like the one below. Nope. Nothing like this at all. Oh no, it was more like a large warehouse full of bolts squeezed into every corner and crevice. The walking lanes were incredibly small (don't even think about bringing a backpack) and you're likely to give someone an accidentally konk on the head when you try to remove a bolt from its stand. As much as I'd like a calm, organized shopping experience there was really not time to worry about those small details. For me, its really all about the HUNT and the best place for that is the lower level where they have bins of discounted scraps and ends. 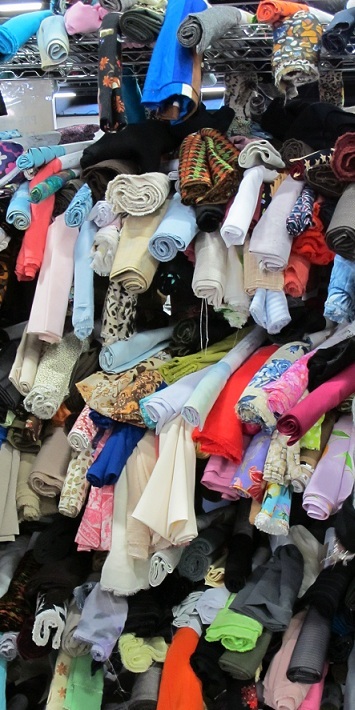 If you've got a good eye, they frequently have some nice basic pieces as well as great textured pieces of cloth that are the end of the roll. Good enough for me, I'm only 5'2. Its like...finding buried treasured in a sea of dust and flying threads but I must say that I was rewarded handsomely for my efforts. One of my favourite places to browse in the fabric store is the notions section; filled with lace and buttons of every size and colour its the perfect place to hunt down accessories for your work. In my own taste I really enjoy simple styling with either an interesting pattern, texture or detail work. Here are some things that I picked up from the notions section, how many of them look familiar? If you've never tried decorative studs, they are a genius thing! It does take a long time to put it on, one by one but the results is very professional and adds an interesting contrast to your fabric. 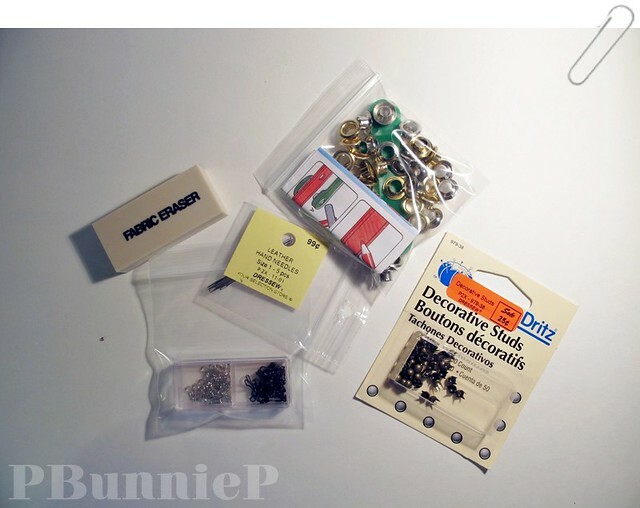 I bought some grommets too and though I'd give them a shot. 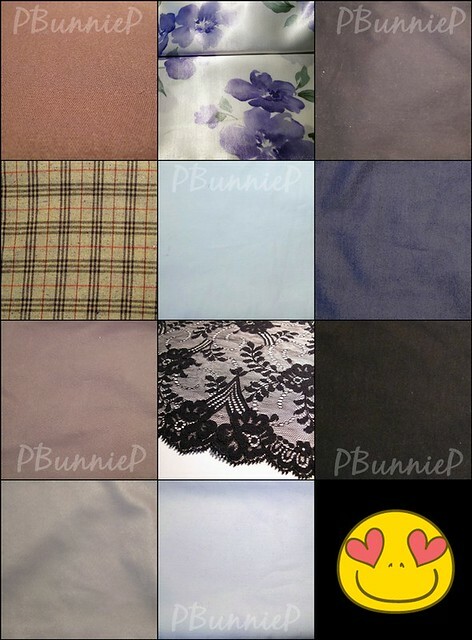 A quick peek at the fabrics I picked up. What I look for in fabrics is a great feel/texture, no flimsy stuff for me. I stuck with a neutral palette as you can see, as I start cutting and sewing you'll see exactly what these pieces end up being! As of currently, I'm working on some hair accessories with some of the smaller pieces that I have, I will have lots of goodies to update soon. 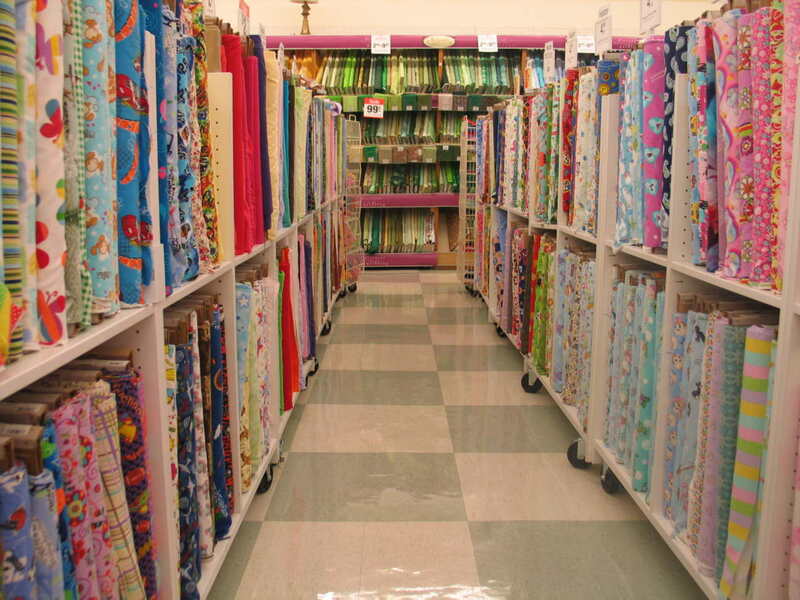 I think I'll go crazy in the first fabric store. I love fabrics. I love that black lacy fabric that you got. And the studs! I'm so envious (in a good way!) that you can create something beautiful out of all these things, I wouldn't know where to start! It's great being creative!